Surplus Equipment from Ouachita Parish Public Works and Others A group of very nice Dump Trucks selling no minimums. OUACHITA PUBLIC WORKS, ROBERTS LOGGING AND OTHERS, This September 25 auction will be live onsite as well as online. All inventory will be located at our West Monroe La. location. 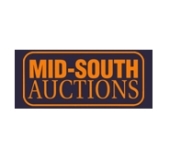 Mid South Online Auctions. Live Virtual and Online Bidding. Equipment listings starting soon, check back often. Additions up to auction day. OUACHITA PARISH POLICE JURY AND OTHERS This is an online auction, equipment is located in various locations. Be advised to check each items description for locations.